From left, Mesdames Margaret McQuillan, Ailsa Foster (president), Margaret Thompson and Barbara Brown (secretary). Absent: Ariel Clague (treasurer). Val Warrener, Ivy Parker, Karen Caldwell, Katy Brown, Pam Skudder and Elaine Petherick. 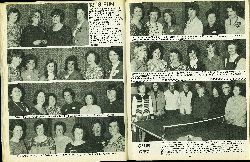 Patsy Petersen, Tammy Webb, Diane Webb, Dorothy Sparrow, Mary Lavery and Rosemary Cooper. Margaret McAneney, Carol Barbara, Beryl Worsley, Helen Race, Lorna White and Kathy Parkinson. 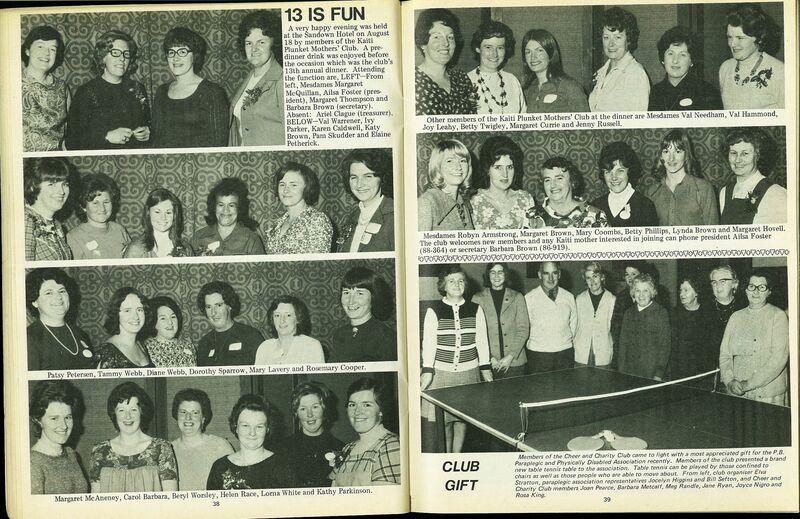 Other members of the Kaiti Plunket Mothers' Club at the dinner are Mesdames Val Needham, Val Hammond, Joy Leahy, Betty Twigley, Margaret Currie and Jenny Russell. Mesdames Robyn Armstrong, Margaret Brown, Mary Coombs, Betty Phillips, Lynda Brown and Margaret Hovell. The club welcomes new members and any Kaiti mother interested in joining can phone president Ailsa Foster (88-364) or secretary Barbara Brown (86-919). Members of the Cheer and Charity Club came to light with a most appreciated gift for the P.B. Paraplegic and Physically Disabled Association recently. Members of the club presented a brand new table tennis table to the association. 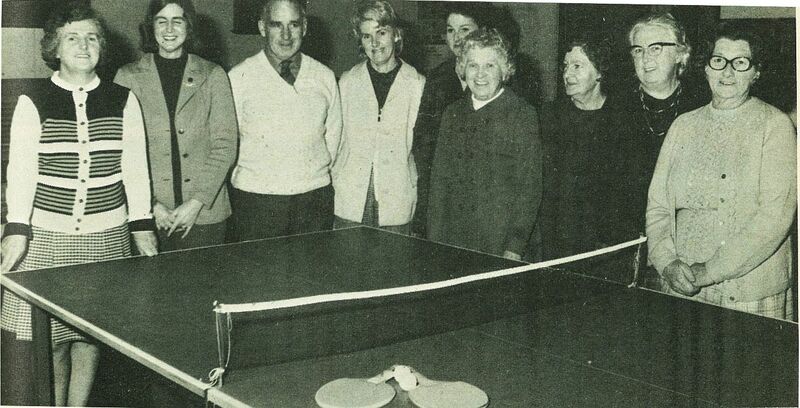 Table tennis can be played by those confined to chairs as well as those people who are able to move about From left, club organiser Elva Stratton, paraplegic association representatives Jocelyn Higgins and Bill Sefton, and Cheer and Charity Club members Joan Pearce, Barbara Metcalf, Meg Randle, Jane Ryan, Joyce Nigro and Rosa King.